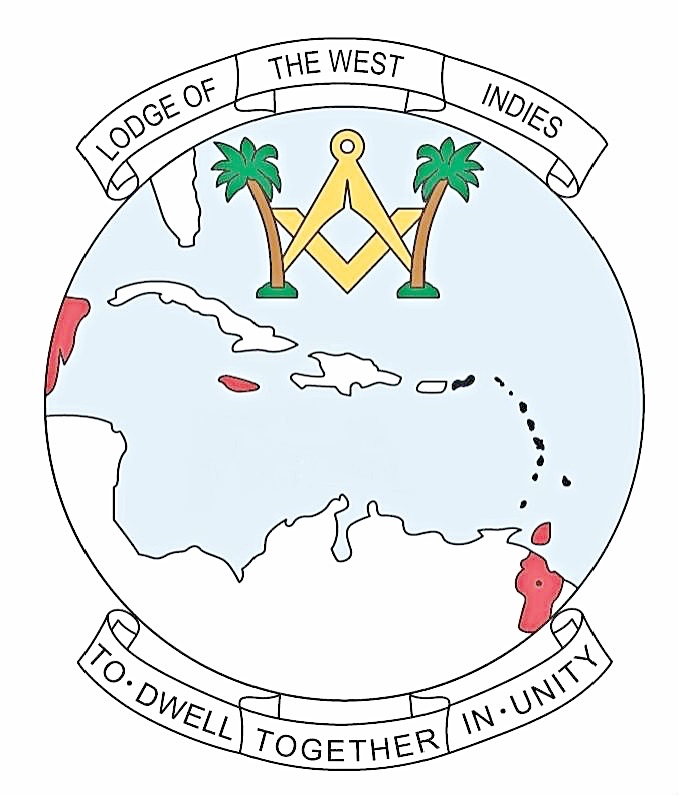 The Lodge-of-the-West-Indies 9424 website is produced and made available in good faith. Neither the Lodge-of-the-West-Indies 9424 nor any of it's Trustees, Office Bearers or members give or make any representations or warranties of any kind, whether express, actual or implied, in relation to all or any part of the Lodge-of-the-West-Indies 9424 website or any contents thereof or any website or websites to which the Lodge-of-the-West-Indies 9424 is linked. All warranties and representations of every kind and howsoever arising are hereby absolutely and expressly excluded to the fullest extent permitted by law. Liability for material reproduced on the Lodge-of-the-West-Indies 9424 website remains with the author(s) and/or originator(s) of the material concerned and not the Lodge-of-the-West-Indies 9424. The content of the Lodge-of-the-West-Indies 9424 website does not constitute the dispensation or giving of any kind of advice, recommendations or guidance by or on behalf of the Lodge-of-the-West-Indies 9424 and must not be relied upon in making, or refraining from making, any decision. There is no guarantee that the website will be free from infection whether by viruses or from any other cause or source which may be harmful or destructive. All parties use the Lodge-of-the-West-Indies 9424 website entirely at their own risk and without recourse to the Lodge-of-the-West-Indies 9424, it's Office Bearers, Trustees and members or any of them. To the fullest extent permitted by law, the Lodge-of-the-West-Indies 9424 and, separately, it's Office Bearers, Trustees and members, all jointly and severally hereby disclaim all liability (howsoever arising) in connection with any loss or damage, arising out of or in connection with any use of, or inability to use, all or any part of the Lodge-of-the-West-Indies 9424 website or any site to which the Lodge-of-the-West-Indies 9424 website is linked or any action taken (or not taken) as a result of access to the use of any of these. The Lodge-of-the-West-Indies 9424 intends that the information published on the website is up to date and accurate. However, the information on the website does not constitute legal or professional advice, guidance or recommendation and the Lodge-of-the-West-Indies 9424, it's Office Bearers, Trustees and members and each of them, will not accept any liability for actions arising from it's use nor will they be held responsible for the contents of any website or other source referenced by any external site. The Lodge-of-the-West-Indies 9424 has included, or may include, links to third party internet websites controlled and maintained by others. When accessing these sites the user leaves the Lodge-of-the-West-Indies 9424 website. These links are included solely for the convenience of users and their presence does not constitute any endorsement by the Lodge-of-the-West-Indies 9424 of the websites linked or referred to nor does the Lodge-of-the-West-Indies 9424 have any control over, or responsibility for, the content of any such website. The Lodge-of-the-West-Indies 9424 recognises the importance of protecting the privacy of visitors to the Lodge-of-the-West-Indies 9424 website. Names and email addresses are collected for the sole purpose of answering individual enquiries forwarded to the Lodge-of-the-West-Indies 9424 via the contact and/or guestbook form(s) on the Lodge-of-the-West-Indies 9424 website. Under no circumstances will these details be intentionally used for any purpose. The information contained on this website is the Copyright © property of the Lodge-of-the-West-Indies 9424 (unless otherwise stated) and is protected by international copyright laws. The Lodge-of-the-West-Indies 9424 website is provided for personal, private and non-commercial use only. No user or recipient has any right to modify, copy, distribute, transmit, display, perform, reproduce, publish, license, create derived works from, transfer, exchange or sell any information, material, software, images, graphics or source code obtained from the Lodge-of-the-West-Indies 9424 website. No part of the Lodge-of-the-West-Indies 9424 website may be reproduced in any form whether electronic or otherwise (other than temporarily in the course of using the website) without the express prior written consent of the Lodge-of-the-West-Indies 9424. The Lodge-of-the-West-Indies 9424 can exercise editorial control only over material commissioned and/or produced by it. The Lodge-of-the-West-Indies 9424 cannot, under any circumstances change, add to, or subtract from, any material previously produced by others, that is prior to reproduction by the Lodge-of-the-West-Indies 9424. Errors and omissions in such previously reproduced material are the responsibility of the authors or commissioning body and not the Lodge-of-the-West-Indies 9424. Errors and omissions in material reproduced on the Lodge-of-the-West-Indies 9424 website which do not occur in the original material should be brought to the attention of the Webmaster. If correction is required, the full text of the original material, author, source, date and place(s) of primary publication must be submitted to the Lodge-of-the-West-Indies 9424 which will then make the appropriate adjustments and corrections having regard to the submissions. The Lodge-of-the-West-Indies 9424 uses cookie technology to track or record information about visitors to the Lodge-of-the-West-Indies 9424 website. These cookies are 'session specific', and only in the form of a unique visitor indentification code which is generated at the time the user visits the Website. They are not used to record personal information or to associate personal information with the use of the Lodge-of-the-West-Indies 9424 services. Privacy and security are not compromised if and when the user accepts a cookie from the Lodge-of-the-West-Indies 9424 website.